I feel exhausted. Am I actually exhausted? I feel like a fraud claiming that. I have no particular reason to be more tired than any one else. In fact I have less reason than your average person to be wiped out, but, here I am and I am done, empty and exhausted. What does this mean? It means that I have to stop activity and seriously limit myself to what I choose to do. Hoovering? Nope. Washing? Nope. Running? Nope. It kills. The sun is actually shining for once. A run would most likely be lovely but I can’t. Yes it frustrates the hell out of me. It upsets me that I appear lazy (am I just lazy?)! Now I could push it – which is the urge actually; to keep going, be busy, be strong, prove my worth as a wife, mother, person. The benefit of experience tells me, however, that this would be a bad idea. Why? Because I would break. By that I mean the fragile thread currently keeping my mind tethered to sane and healthy would snap and my mind would tumble. Perhaps it would be a depression that would pin me to the bed, or it could be an anxiety that has me frozen in fear on my living room floor. There would most certainly be the torturous intrusive thoughts which can feel somewhat like being trapped in a room alone whipped by some invisible force. It hurts. A mental tumble could be out of control emotions: sadness, fear, anger, disgust or it could go completely the other way into dissociation, a numbness and feeling completely apart from the world, like a ghost. Both are incredibly frightening. 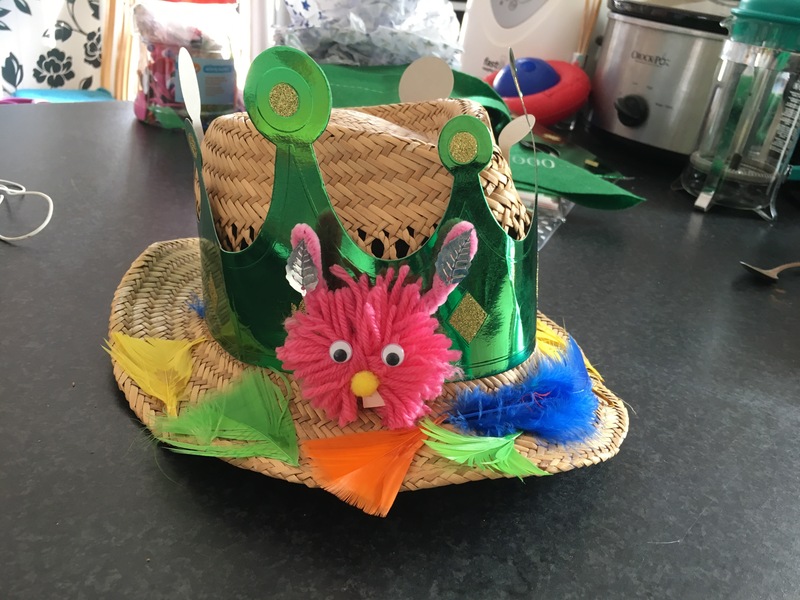 Well, with all that in mind, I have to accept my house looking and smelling like a tip/bog, my daughters’ Easter bonnet effort being pretty crappy, and that any number of household tasks will not be done. Easter bonnet attempt. I think it’s important that we did at least try! I feel awful about this. Shame. I worry about the judgement of others. I worry about the strain it might put on my husband but I can also see that me breaking would put more strain on him so it’s the ‘stitch in time saves nine’ approach. It’s funny. People on the outside think it’s great being off work. I just had a fellow parent comment that I do right staying off work, enjoying myself. Ha! If only! Don’t get me wrong, I adore and appreciate the time that I get but there is a whole other side to it that stays hidden. There is a price to be paid. I have been ploughing on but the signs are too much to ignore now. For a start just keeping my eyes open is a struggle! Not that I can nap, no I seem to be curating the long blink look. My hands have begun to shake a lot again. Its funny how I don’t think about these things and then they come back and I’m like oh yeah, shaking hands, I’d forgotten about that! My thoughts are certainly more cruel than kind and dealing with those distractions is draining. My patience is non-existent so I avoid interaction because I don’t want to be horrible to anyone. I feel physically sick quite a lot. Rocking a bit of chest pain oh, and my joints too. My muscles feel weak, like they’ve been replaced by delicate tissue paper. My brain is struggling. The vocal stutter/pause is back. That’s never a good sign. I’ll be trying to say something and it’s like my brain leaps out my head, does a fancy little twirl, lands back in my head and then lets me continue speaking. It’s so bizarre. Like being paused! I’m trying to avoid any unnecessary trips to shops as I get blasted with ‘you’re going to DIE’ repeating in my head. Knowing that the thought isn’t true doesn’t stop it unfortunately. I recognise the thought and I’m like oh for godsake, do we really have to do this? And the thought just screams back ‘You’re going to DIE!‘. Right. Brilliant. Super helpful brain. I suppose when I look at it like that then maybe it’s not that surprising that I’m tired AND it’s the Easter holidays (guilt!!!) and we’ve just had a series of crazy busy weeks, fun weeks but yup, busy busy busy. All of this means I haven’t been able to get for a run which is ironic because that might just be the one thing that really helps. I’m kind of worried about the Sheffield Half now. I was on course, doing ok with getting up to 13 miles. Now? A walk to the shops feels like an achievement but no matter. The husband is off work tomorrow and, if I can, then I may aim to just do a mile. Just one mile. 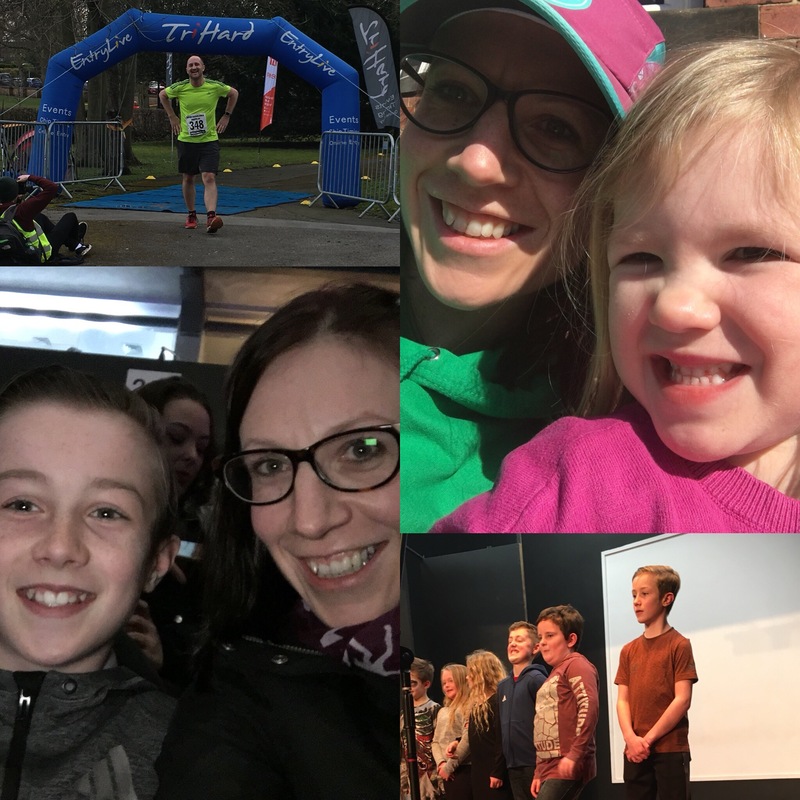 I did do parkrun last week but that’s a whole other story (and yes, it is about my sodding mental health). So, yeah, not much fun at the moment. I’m exhausted and maybe that’s allowed. For a little bit. But don’t worry I’m fine (promise! ), just maybe not as ‘fine’ as I look.